Kadokawa Games and Grasshopper Manufacture’s second joint project, Killer is Dead, received its fifth trailer, sporting the superb Japanese voice-overs (which will be an available option in the game) and showing some killer footage of Mondo going toe-to-toe with some ghastly bosses. Before I spoil too much, the impressive trailer can be found below! Judging by the dazzling trailer above, I’d say Killer is Dead appears to be on a whole other level when compared to previous titles like No More Heroes and Killer 7. 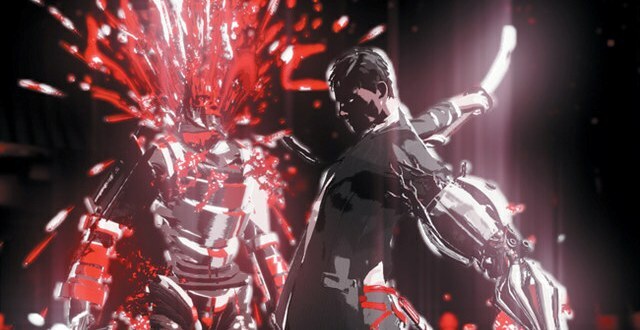 The musical score, the visuals, the fluid movement of combat, and brutality of each impact has me, and I’m sure many of you, in complete awe at what Suda51 and company are doing with Killer is Dead . Not only does the game have a slick new combat system that draws from their previous titles, but also an improved cel-shaded graphical art style that is truly unique and incomparable to anything currently available. I for one, cannot wait to experience Mondo’s dark tale and his various struggles through a daft land. Killer is Dead releases August 1 in Japan and currently holds a “Summer 2013” release date for North American and Europe. Previous Post:RUMOR: GameStop to Sell Limited Edition of Final Fantasy X/X-2 HD Remaster?